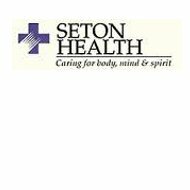 Seaton Health Insurance Company is actually known as the Seton Healthcare Family, who takes responsibility in providing for the citizens of Central Texas. In working with a number of various caregivers, Seton Health Plan is able to provide some of the best health insurance available in the state of Texas, and around the entire United States. If you are looking for health insurance, enter your zip code to find attractive health insurance quotes. One shining spot within the organization is the Seton Healthcare Employee Health Plan, which is setup to make sure all of the individuals who work for Seton Health receive adequate benefits for themselves, and dependents. Another initiative started by the Seton Healthcare Family is the Children’s Health Insurance Program, or simply CHIP. Finally, the Seton Healthcare Family offers numerous programs to help families build healthier lifestyles and turn these newfound habits into lifetime staples. As previously mentioned, the Seton Healthcare Network Employee Health Plan, has been setup by the Seton Healthcare to provide for their employees and their dependents. If the employees should need prescription drugs, Seton Healthcare has partnered with MedImpact, who they believe offer the most comprehensive coverage in America. You can register for services on their website that allow you to view your copayments and deductible amounts that you will be expected to pay, as well as, any remaining costs you might be liable for. The website also provides a complete list of medications available, and gives the user a thorough understanding of the prescription drug, as well as generic alternatives, where you might be able to save some money. Finally, you are able to track up to 28 months of previous usage of your prescription drug to share with your primary care physician. If your family happens to fall between the uncomfortable grey area of not being able to qualify for Medicaid, but you don’t make quite enough money to support your health insurance needs; you may qualify for CHIP. With the CHIP program, children’s copayments are determined based on your family income and they can keep receiving coverage until the age of 19. There are many benefits included within the CHIP program, like being able to choose your own doctor and being able to schedule regular check-ups and office visits. You can also visit any specialists, if need be and receive various medical supplies and prescription drug benefits at a reduced rate. Aside from basic medical coverage, you can also receive dental and visionary support, as well as mental health and physical/speech training if need be. Finally, your child will most certainly be covered with all the latest immunizations and shots, to prevent harmful diseases. To find out more about the specific areas in central Texas, where you can receive the CHIP services, visit the website listed at the top of this section! Weight management has emerged as one of the foundations of living a healthier lifestyle in America today. With the support of dietitians and physicians, Seton helps teach their patients how to curb eating habits to promote a healthier lifestyle for years to come. Visit their website to create your own plan as well as gain referral forms to find the best practitioners in your area. If you happen to suffer from diabetes, Seton has an educational facility for you to visit. If you end up participating at the center, your copayment and deductible will be waived throughout the duration of the program. The Seton Healthcare Family offers a host of educational programs, including one for those suffering with asthma. Everything is covered from how to detect the illness, how it is triggered, and how to properly maintain the disease. To find out more on the program, visit their website. If you’d like to find out health insurance quotes in your area, simply enter your zip code and receive some of the best offers in America!